It seems fitting to end our blogging year with a series on great books. It may not come as a surprise that my favorite books are nonfiction. But this year I’ve read lots of nonfiction picture books. I’ve found many that I’ve admired. The three I want to mention today are not new books. But they are books that I’ve read over and over and admire the craft of good writing every time. The first one I want to share is Thank You, Sarah: The Woman who Saved Thanksgiving by Laurie Halse Anderson. 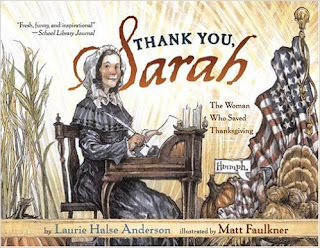 It is the story of Sarah Hale (author of Mary Had a Little Lamb) and her 38 year campaign to get Thanksgiving declared a national holiday on one specific date. Finally Abraham Lincoln did so. The story of Sarah Hale is a great example of what one woman of grit and determination can do. That powerful story combined with Anderson’s brilliant storytelling ability makes this book informative, funny, and charming. Matt Faulkner’s illustrations fit the cheeky attitude of the text. 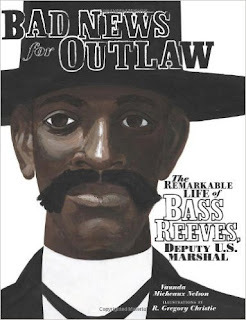 Next is Bad News for Outlaws: The Remarkable Life of Bass Reeves, Deputy U.S. Marshal by Vaunda Micheaux Nelson. This true story tells of the amazing feats accomplished by Bass Reeves, a man born into slavery who became a deputy U.S. marshal in Indian Territory. Over three decades Reeves arrested more than 3000 outlaws. His little known story is one of a true hero of the Old West. This powerful story combined with Nelson’s choice of voice and storytelling style makes this book really special. From the first word to the last word the reader is drawn into the world of heroes and outlaws in the lawless Indian Territory. R. Gregory Christie’s illustrations add to the feel of the time and place. Another of my favorites is Wisdom, The Midway Albatross: Surviving the Japanese Tsunami and other Disasters for over 60 Years by Darcy Pattison. 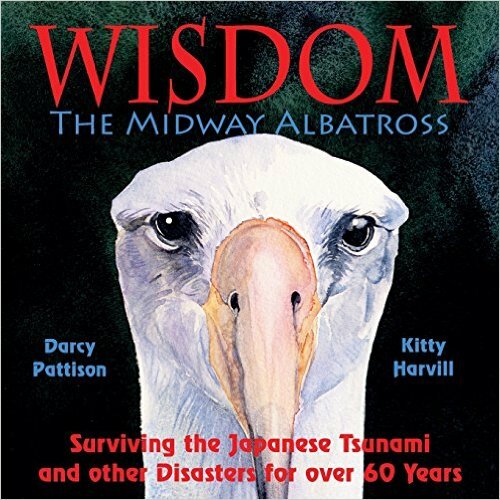 This is a biography of completely different kind, not of a person but of one single albatross-named Wisdom-who just happens to be the oldest bird in the world. This story includes how scientists tracked Wisdom who against all odds-even survived the Japanese tsunami. Pattison’s storytelling ability gives readers a powerful glimpse into the world of blue sky and rolling sea as one amazing bird (still) continues to survive and hatch her babies. Kitty Harvill’s beautiful illustrations are a perfect compliment to the time and space of Wisdom’s world. Oh, how I love a great true story! 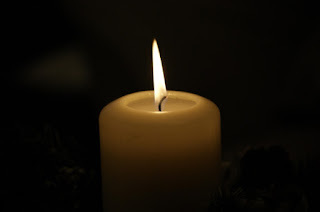 These past few months have been defined by an anger born of despair, and by a loss of kindness born from want of hope. It seems this season of light and joy is in dire need of healing. Hope comes from many places: your family, your friends, your heart, your faith. Where I find hope is in stories. Every writer and poet, every teacher and parent – everyone who has lived a life – knows that life isn’t always easy. Life isn’t without its fears and despairs. In fact, dare I say, it is impossible to experience life without experiencing pain. Complete freedom from pain, says Daniel Taylor (The Healing Power of Stories, 1996), means separating yourself from life. Stories remind us what it means to be human. Not perfect, by any means. But certainly Human. As Taylor suggests, we are the product of all the stories we have heard and lived. Our stories are interwoven, and we cannot live our stories separate from each other because we are characters in each other’s story. Stories fill us with the courage to face life’s possibilities. They show us the way to be more than what we are now. They remind us of what we are capable of doing, if only we work together. While there were many great and inspiring stories published, I offer the following stories -- and by coincidence, all animal stories -- that reminded me of this hope, demonstrating what can happen when the best of humanity comes together. And they make me smile. 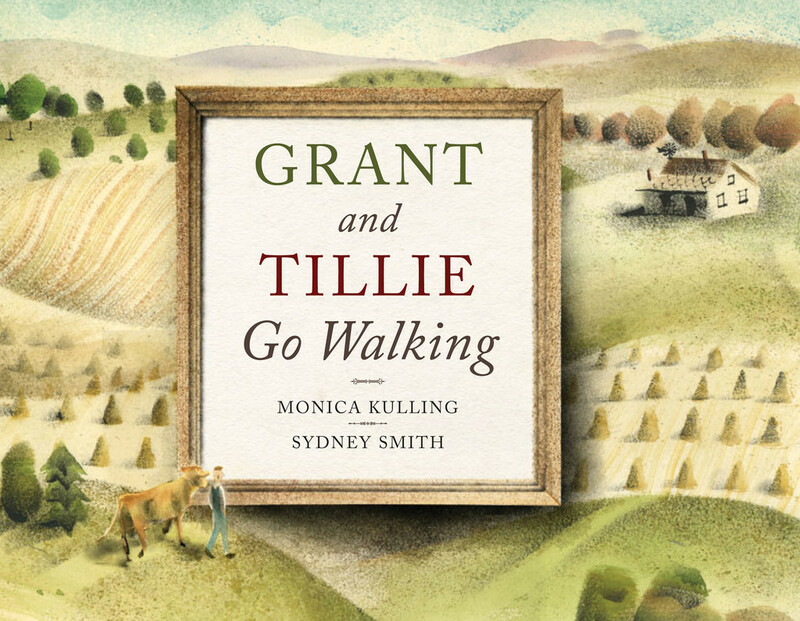 Grant and Tillie Go Walking, by Monica Kulling (July 2015), is a gently wise picturebook on the power of friendship. Grant Wood struggles to find his artistic voice and runs off to Paris to find himself. However, he soon discovers there is no place like home. He learns to be true to himself by painting what makes his heart sing. And in this case, it's beautiful and peaceful Tillie. 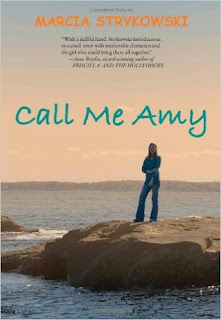 Call Me Amy, by Marcia Strykowski (May, 2013), is a wonderful coming-of-age tale about friendship, teamwork and community responsibility. The three protagonists – shy Amy, quirky Miss Cogshell, and the mysterious Craig – come together to save a stranded, injured seal pup. 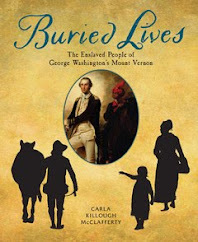 And speaking of animal rescues, what a powerful story of human achievement and connection is Robert Burleigh’s Trapped! 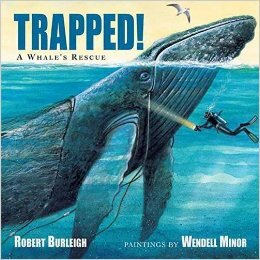 A Whale Rescue, illustrated by the incomparable Wendell Minor (April, 2015). Burleigh tells the true story of an adult female humpback whale tangled in fishermen’s nets. Despite the dangers, a team of rescuers and divers fight the odds to save her life. At first, the terrified whale struggles against her rescuers. But in the end, as she is freed from her prison, she circles the divers in recognition and appreciation before she returns to the sea. 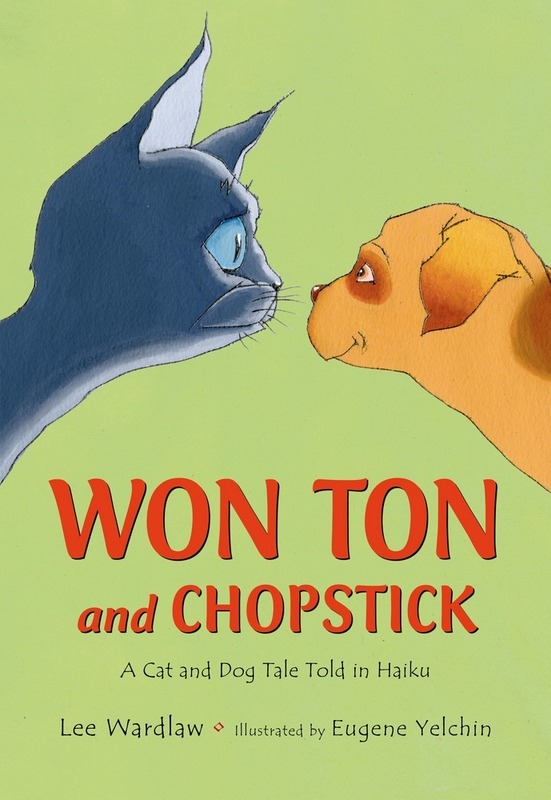 And finally, Lee Wardlaw offers a charming tale told in haiku, Won Ton and Chopsticks (March, 2015). 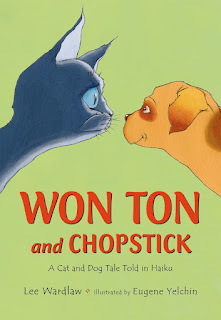 Irascible cat Won Ton needs to learn how to get along with the new “baby”, Chopstick the puppy. It’s a struggle, to be sure, but finally the two discover they have more in common than not, and finally make peace. Isn’t that the story of the day? What are your stories of hope? Don't forget to check out the other Teaching Authors' series of unforgettable books. JoAnn adds her favorites, with some wonderful reads. Esther highlighted one that carried her heart in its heart. 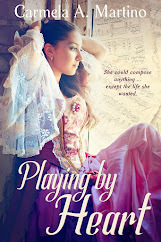 April offered her poetry favorite of the year and Mary Ann listed three memorable YA novels. 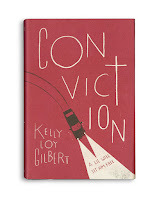 I’m continuing our Teaching Authors series on good books we’ve been reading. Esther began with her list and highlighted one that carried her heart in its heart. (How I love that description!) April continued with her poetry favorite of the year—one of mine, too! 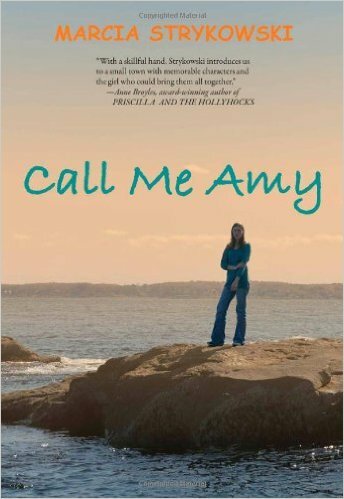 Mary Ann listed three memorable YA novels. I’ve added them all to my long To Be Read list. Like Mary Ann, I read a lot. Unfortunately, I don’t remember much, so when I find a book I really enjoy, I read it again. And maybe again after that. Here are a few of my recent reads that deserve a second or third look. I’m including brief excerpts to give you a taste of their tone and style. Lizard Radio by Pat Schmatz. I love the inventive yet understandable language. This book made me think about gender identity and how complicated our society makes it. Coincidentally, several of my recent reads have strong fairy tale themes. Mechanica by Betsy Cornwell. After her father dies, a girl becomes a servant to her stepmother and stepsisters in her own home. She finds her mother’s hidden workshop and learns how to build magical mechanical creatures. Ash & Bramble by Sarah Prineas. Pin is a Seamstress, playing a role in a Story controlled by the powerful Godmother. Pin and Shoe, a Shoemaker, decide to break out of its confines. “Coming around a bend, we see the waterfall slamming into the river with the city high on the cliff beyond. The sun is setting, and the waterfall looks like a veil of lace, and the white stone of the castle in the distance is tinged pink and gilded at its edges. Dark Shimmer by Donna Jo Napoli. I haven’t even finished this one yet, but I’m awed by the eerie perspective with which it begins. It turns into a huge surprise that I won’t reveal here. “My knee split open in the fall. But I’m all right. I pick pebbles from the gash. I’m all right, I’m all right. “The boys creep up on bowed legs white as sticks without the bark, especially Tonso’s skinny leg, the one that never grew right. They peer in all directions. 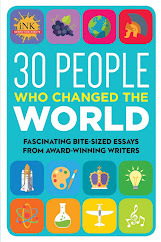 Eager to look ahead, I started gathering all the best books lists I could find. Because I think the world needs more awareness, I added a few lists that celebrate diversity. Then I found Publisher’s Weekly’s comprehensive “A Roundup of 2015’s Best Book Lists for Kids and Teens,” a good place to start. Here are links to more lists. I can’t wait to dig in! Happy reading! 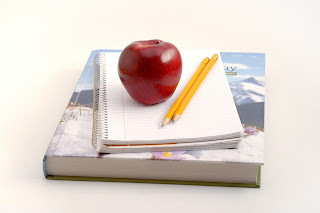 Today’s Poetry Friday Roundup is at A Teaching Life. Enjoy! Santa isn't the only making his list and checking it twice. It's Award Season, when everyone and his dog make up "Best of the Year" book lists. This month, Teaching Authors takes a more casual approach; we're talking about the books that were memorable to us. I read a lot. So how did I narrow down my "memorable" books? They are the ones I could remember the author, title, story and characters, without consulting my reading journal. My number one choice was a no brainer, since I put my life on hold until I finished the book. However, two others were a dead tie for second place. Surprise, surprise, all three are young adult. No grand plan on my part. They are the most outstanding books as far as I am concerned. discover religion generates more questions than it "answers." A messy, complicated story that hops around various points in the past, to the present, but somehow never loses the reader along the way. 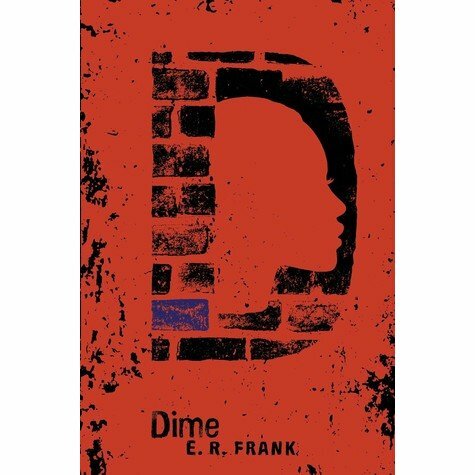 Dime by E.R. Frank. Frank is known for her fearless approach to tough topics. She took on a big one this time; teen age prostitution. 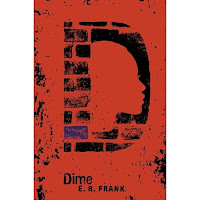 Dime is a fourteen-year-old, lost in the foster care system. All she wants is a family and someone to love her. She finds it on the streets of Newark--a "daddy" to "take care of her," along with two other "wifeys" who work for Daddy. Dime will do anything Daddy tells her to because he "loves" her. Gradually, Dime sees the truth about her "family." The voices of Dime, Daddy and the wifeys are distinct, and non-stereotypical. To be honest, this book was so heavy and intense that I wasn't sure I could finish, especially after I thought I knew where the story was heading. Dime herself, compelled me to finish. I'm glad I did. I had misgivings. The book is 450+ pages (70 of which turned out to be documentation and indexes.) I already "knew" what happened: Shostakovich writes writes his Seventh Symphony, the "Leningrad" and the Nazis lose the Siege of Leningrad. Reading this book is truly not about the destination, but enjoying the ride. Even with such a potentially heavy subject, Anderson always finds a touch of humor in events. We see young Dmitri, a sheltered piano prodigy in Czarist Russia, evolve into a master composer within the confines of the Soviet system. We also see his career nose-dive when his work falls out of favor with The Party. What struck the deepest chord (sorry for the pun) in me was that while his physical world was in constant turmoil (messy love affairs, unemployment, starvation, Nazis...and a whole lot more) what gave his life meaning was music. He composed the "Leningrad" during the two and a half years the Nazis first tried to bomb, then starve, the city out of existence. Creativity triumphs all. Shostakovich's story (as well as the city of Leningrad's) has everything I love in a book...suspense, adventure, danger, intrigue, love, and most of all music. You don't have to know anything about Shostakovich, music or even Russia, to be sucked into this impeccably research story. May 2016 be blessed with such terrific books as those of 2015! Howdy, Campers, and Happy Poetry Friday! Buffy hosts today--her link is at the bottom. The topic we TeachingAuthors are tossing around now? 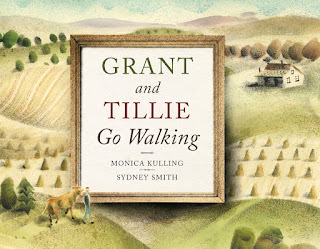 A favorite children's book we've read this year. Esther's weighed in with a touching picture book; I'm up to bat. I almost went with the audio book of Madeleine L'Engle's A Wrinkle in Time (read by the author!). This classic celebrated it's 50th anniversary three years ago, but it was in September, as I zoomed up the 405 freeway to pack up family memories, that I was transported by L'Engle's words...and her worlds. 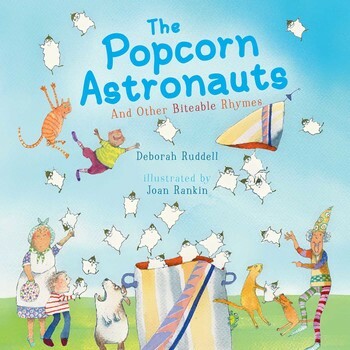 But the book which electrified the poetry particles in my brain is Deborah Ruddell's inventive collection, The Popcorn Astronauts--And Other Biteable Rhymes, whimsically illustrated by Joan Rankin. Hi, Deborah! I just read The Popcorn Astronauts and I'm blown away by your oh-my-gosh-REALLY?? metaphors that are so out-of-the-box they leave me gasping. And inspired. Here's just a taste of how Ruddell sees at the world: fresh-popped kernels of corn are astronauts, a strawberry is royalty in a beaded suit, and raisins are wrinkled rocks with "the bold, enchanting taste of well-worn pirate socks." 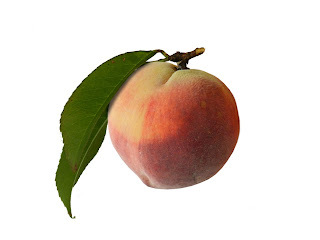 Raise your hand if you've ever struggled to describe peach skin. In fact, stop reading this and close your eyes. Try to imagine peach skin with fresh eyes. Can you describe it in a completely original way? Okay--open your eyes.. Now, raise your hand if you came close to this: "flannelpajamaty skin." Jama: Which poem was the most fun to write and why? Which poem was the hardest? Do you have a favorite? Deborah: NO poem is ever easy for me to write. I am a slow and tormented poet! The hardest part is when I think I’ve almost got something, but it’s just out of reach. 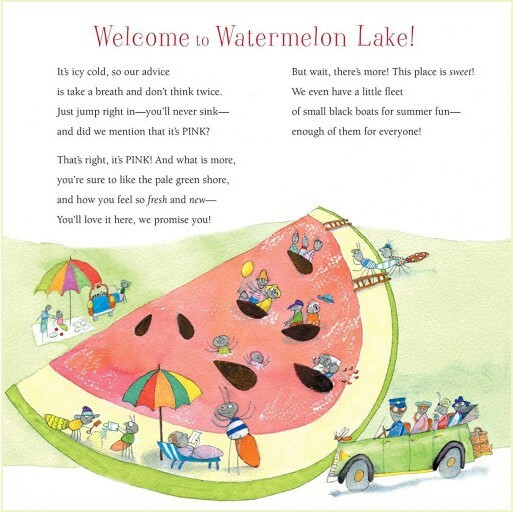 That happened with “Welcome to Watermelon Lake.” I had the image of the pink lake and the pale green shore, but making that image work as a poem was a struggle. Just when I thought I finally had it made, my editor suggested a third stanza in which I introduce the seeds! Argh! In the same interview, Deborah said that the poet who most inspires her is Alice Shertle. Me, too, me, too! 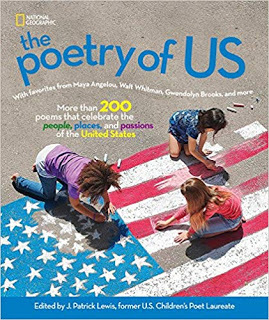 So check out Poetry Friday at Buffy's today...thanks for hosting, Buffy!...then find this book and feast on it! P.S: Check out the brand-new SCBWI Book Launch Parties! Here's mine, and here are 400+ more! Oh, the possibilities when forced to choose my favorite children’s book of 2015! There’s Mo Willems' I REALLY LIKE SLOP! - which my grandson and I really really REALLY like. 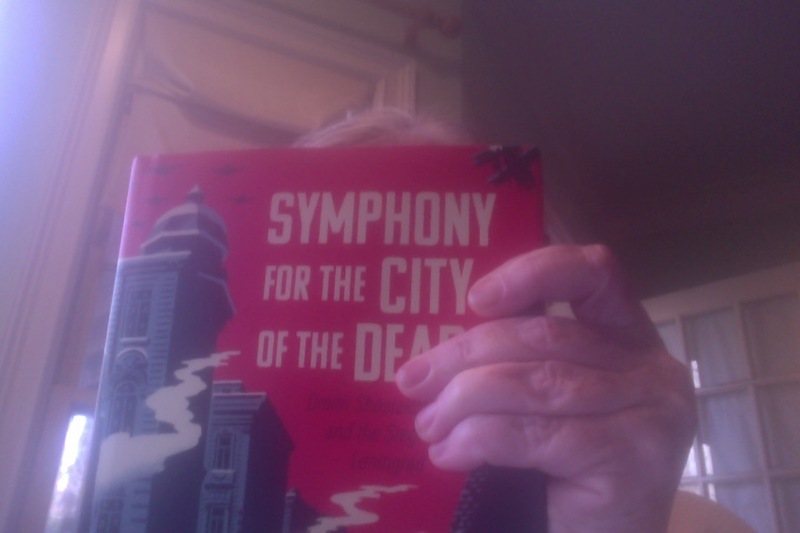 and Laura Amy Schlitz’s THE HIRED GIRL gifted me respectively with 9-year-old Anna Bauman, 11-year-old Nell Warne and 14-year-old Joan Skraggs, characters whose stories kept me turning the pages as I lived and breathed alongside them – in WWII Warsaw, 1860’s Chicago and 1911 Baltimore. The above titles did what children’s books must do: amuse, inform, inspire, encourage and always, always, leave the reader hopeful. The one book, though, that carried my heart in its heart? Author-illustrator Emily Hughes’ THE LITTLE GARDENER. 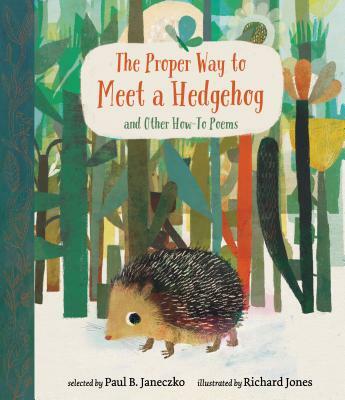 I first learned of this singular picture book in Maria Popova’s August 10 Brain Pickings. School Library Journal praised its spirit that applauded tenacity. For me, a TeachingAuthor, it was surely and purely a Two-fer. The writer in me sighed as I read of the little gardener toiling away in his garden that meant everything to him. “It was his home. It was his supper. It was his joy.” Alas, “he wasn’t much good at gardening,” even though “he worked very, very hard. He was just too little.” But there was that one “alive and wonderful” flower that gave the little gardener hope and made him work even harder, that one bloom that made him wish he had a little help. The teacher in me smiled. Seeding and feeding writers, helping them grow their stories, is how I spend my days. 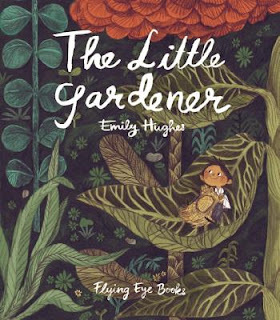 I ordered up THE LITTLE GARDENER pronto and read it aloud to welcome my Newberry Library Workshop picture book writers this Fall. Help was on the way, I assured them. And soon they would learn they meant everything to their stories. Writing? Gardening? To me they’re the same. It’s all about growing, yes? Hurrah for children’s books and how they help us grow, no matter their pub dates! I wish our TeachingAuthors readers Happy Holidays and Happy Bloomin’ in 2016. Like all of you, I’m thankful for many things like family, friends, church, health, a place to live and thousands of other things that I sometimes take for granted. But since this is a TeachingAuthors blog, I’ll confine my thankful thoughts –online anyway – to blessings in that part of my life. I’m thankful for great teachers. I recently spoke at the Arkansas Reading Association where I did a session titled “Writing Nonfiction Using Fiction Techniques” which was attended by some amazing teachers. Teachers today are given the task of teaching students how to write. It is a tall order and not an easy thing to pull off even for a professional author of books. I’m thankful for teachers who do their best even though their classes are filled with a wide range of students that include both gifted and talented and struggling readers. I’m thankful that people, organizations and museums through the years have preserved our history by preserving documents and artifacts. As a nonfiction author who does lots of primary source research, I can do research like I do because those before me had the forethought of preservation. I’m thankful to enter this holiday season with an exciting new project spinning through my mind. In the last couple of weeks, I’ve had the real treat of having my newest project go to auction. It is a dream of authors for more than one editor would want to publish their next book. I know the new publishing house and editor is just as excited about the project as I am. P.S. from Carmela: We thank all the wonderful readers who shared their gratitude for so many things in comments to our posts during the Three Weeks of Thanks-Giving. I promised a round-up post with links to other bloggers who participated, but since I received only one link, I'll just share it here. Carol Varsalona posted a lovely fall image and Thanku on her Beyond LiteracyLink blog. You can read it here. Thanks for joining us, Carol!